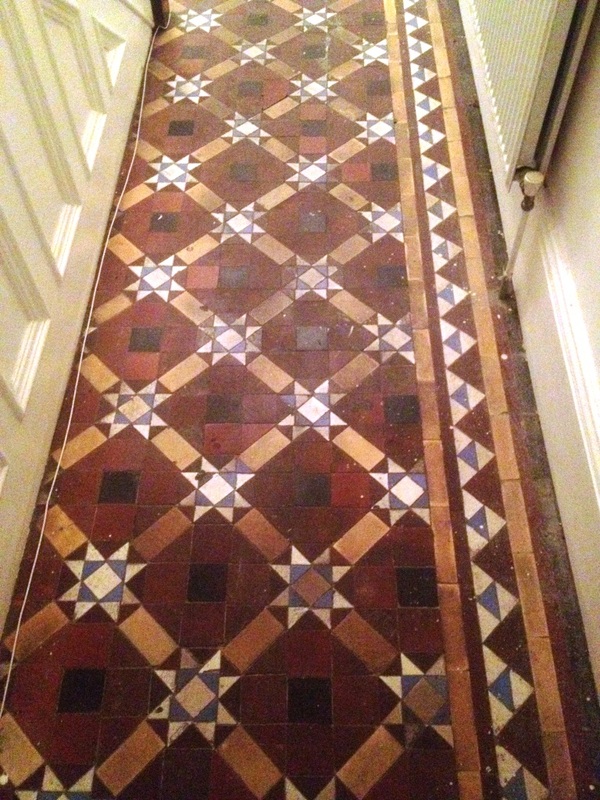 This one hundred year old floor needed some serious cleaning; these Orange and Black Victorian tiles installed in the hallway of a period house in Skipton, North Yorkshire had paint, glue and around twenty years of ingrained dirt on them due to previously being covered in carpet. 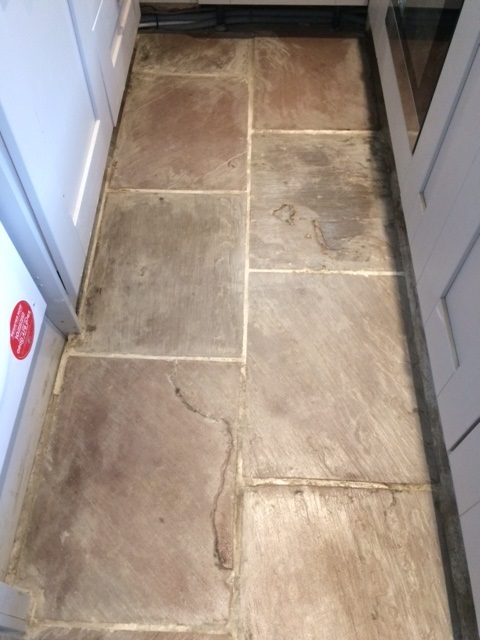 To restore the tile surface we used a process we call the Blanket method which involves covering the floor in a mixture of Tile Doctor Remove & Go and Nano Tech Ultra Clean. The whole floor was covered very liberally with the chemical mixture and then sheeted over with polythene and sealed all the way round with water proof tape. 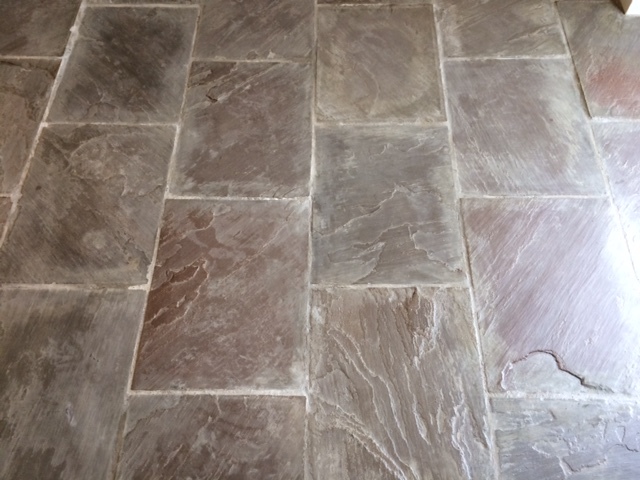 There must be a perfect seal so no chemicals can dry out by oxidation and is left over night to soak into the tile. The next day the polythene was removed in sections and the chemicals were first cleaned off with rags and then rinsed of many times with warm water. 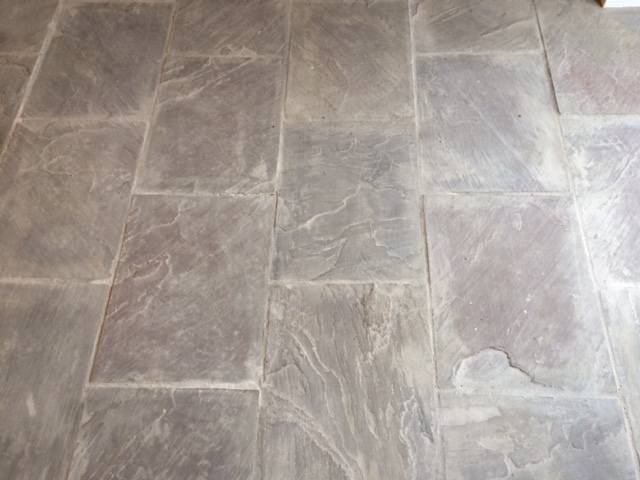 The whole floor was then scrubbed with a rotary machine fitted with a black pad and Tile Doctor Pro-Clean mixed 1 to 4 parts warm water to remove all the residue of the chemicals and any dirt. 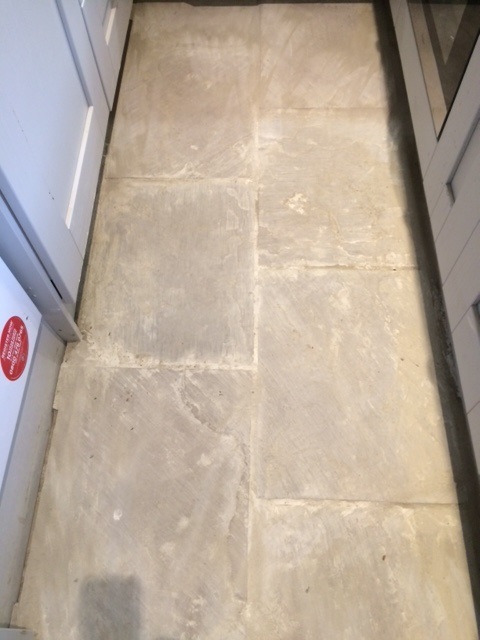 Pro-Clean is an industrial strength cleaning product that is safe to use on Tile, Stone and Grout. 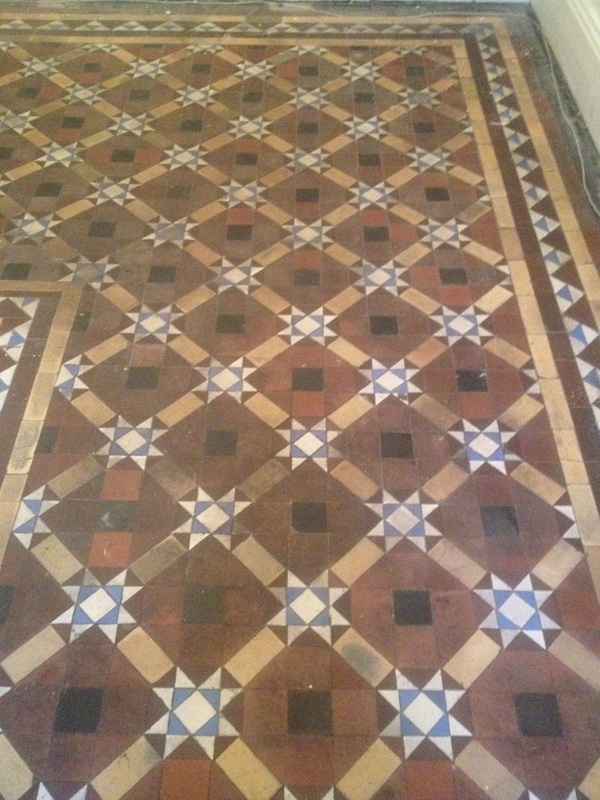 The next day I returned and checked the floor for dampness using a Damp Meter which indicated the floor was dry and ready for sealing. 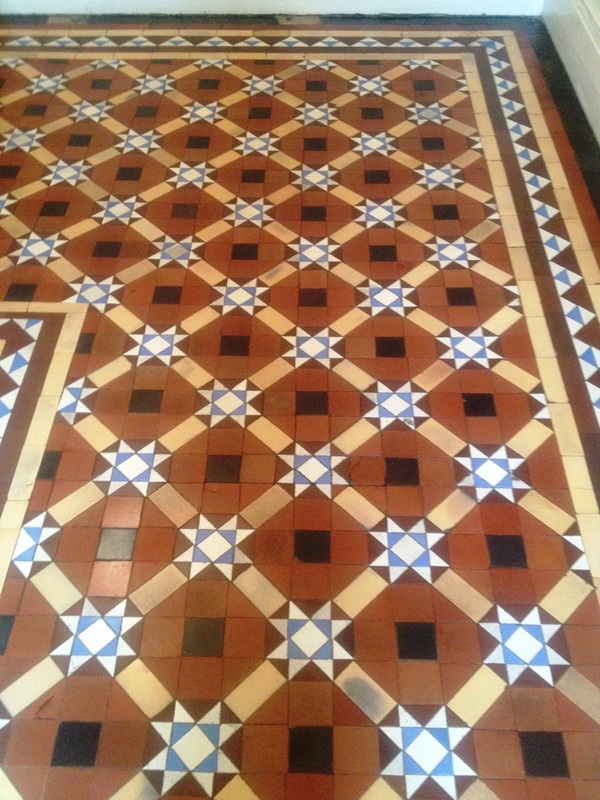 Three coats of sealant was used and for Victorian Floor tiles I recommend Tile Doctor Seal and Go which provides a low sheen finish whilst offering great stain protection. 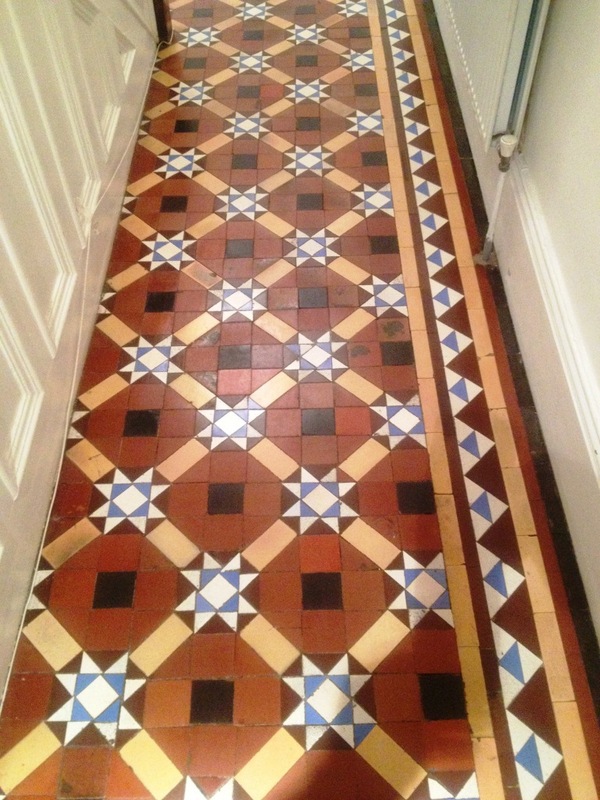 The 100 year old floor now looks almost as new and I think you will agree it has been transformed.